BOO! CAA Open Mic Fright Night! Hello all you ghouls and ghosts! 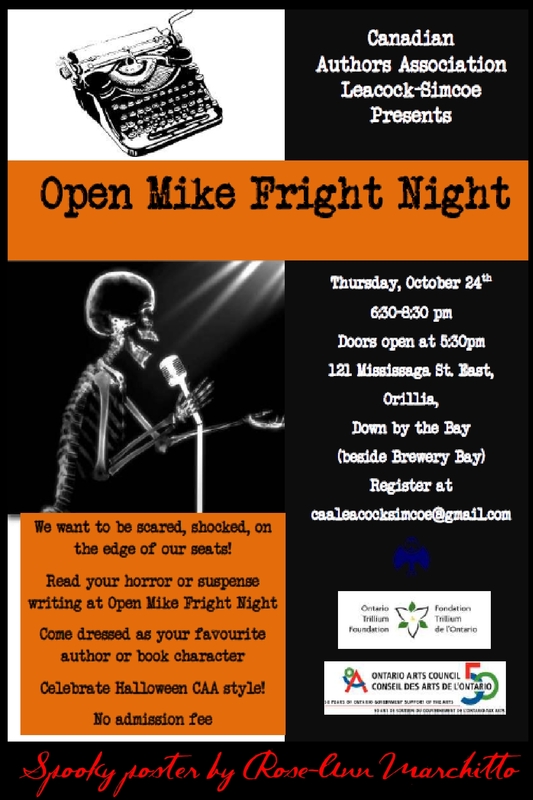 CAA will be having an Open Mic Fright Night on Thursday October 24th, 2013 from 6:30 – 8:30 PM. Ravenous Rose-Ann has made a spooky poster to view, download and/or share, it’s frightfully delicious! (Check out her amazing graphic of Skeletor at the Microphone! MUH-WAH-HA-HA!) 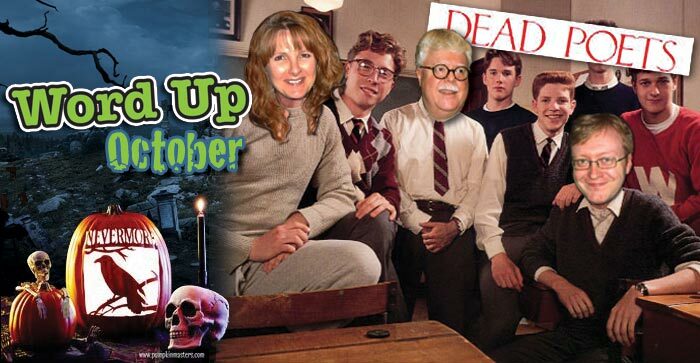 Come dressed as your favourite author (or come as you are) if you dare read your spooktacular and horrifying original pieces of poetry or stories. Categories: CAA Events, Calendar of Meetings & Events, Home | Tags: Canadian Authors Association, Dystopian Fiction, event, Halloween, Horror Fiction, Open Mic, Science Fiction, Suspense Fiction | Permalink.